Today we’d like to introduce you to our dear Dive Bosses. 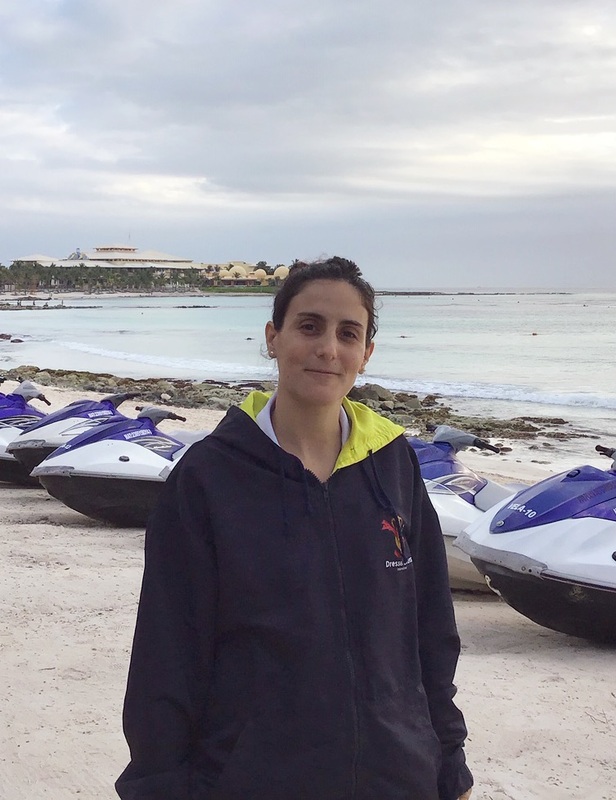 They are the persons in charge of ensuring that all daily activities of our dive centers are done in time and have the quality and security that you deserve. We have interviewed all of them, avid divers with thousand of dives on their log books and many interesting experiences to tell us about. Don’t miss it! Where are you from? How old were you when you joined Dressel Divers? How long are you in the company? I’m from Chile, I joined Dressel Divers in 29/09/2017, about a year and half ago, more or less. What did you want to become when a kid? 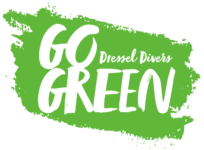 What did you do before you joined Dressel Divers? When I was a kid, I dreamed of being a vet to work with animals…and I’m a vet now, so, I made my dream come true. I also wanted to cycle around the world and I have my bike with me all the time. Everywhere I go I always have my best friend with me. Before Dressel, I was in NZ saving money to get all my scuba certifications done. One of my passions is teaching. My mom is a math teacher so, I learned from her the vocation to share and also to learn about every student something new. So, when I started to dive, I realized I could mix both things, being a diver and sharing this amazing world. In that moment I realized this was made for me. The only thing I can’t do is bring my bike with me underwater hahaha . What was your first function in Dressel Divers and how did you progress from there? 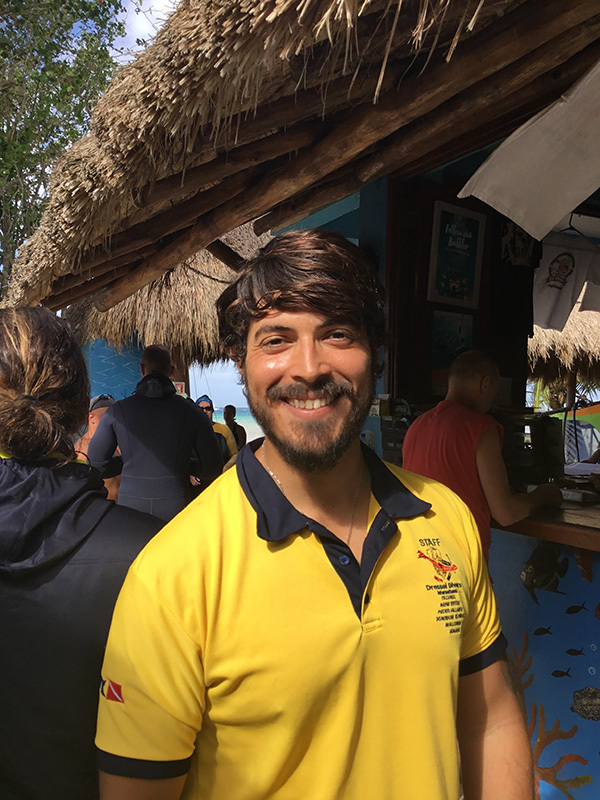 I came here as a Divemaster intern, and now I’m the Dive Boss for Dressel Divers Paraiso. What is your diver level and how many dives do you have? I’m an OW Instructor (next week I will Start my MSDT). I already have 900 dives. Why did you chose the PADI dive federation over others and what recommendations would you have for them? I was only an SSI Instructor and I changed because PADI gave you the freedom to work as a freelance if you want. In addition, PADI is placed all around the world, so, I could go anywhere and work without problems. I always say to my students …. “the most important thing is to have fun and to be safe”. Nothing is wrong, everybody has their own way to do the skills so, find your own way to do it. All of them are really good ones, but I always remember when I had 2 little PADI Discover Scuba Diving boys as students and they began the dive placing their arms and hands like a Superman (flying) and I saw the happiness in their faces. It was amazing! How would you convince someone to go diving if you only have 1 sentence to do it? I would say… diving is like a meditation, breath, relax and enjoy. What is down there that is not up here? Which kind of scuba diving and what dive sites offered by Dressel Divers are your favorites? I always recommend to go to Cozumel and the Cenotes. If you are in Mexico, these are the things you can’t miss. And definitely, Cozumel is my favorite place. Among local dive sites, Manchones is amazing. That’s a hard question because all the dive sites have a magical thing… but I would say Cozumel because you can see so much aquatic life. It’s amazing! What other destinations would you like Dressel Divers to expand to next? I will say mmmm South America and Australia. Do you have a partner? Are you married? Do you have children? Are your partner, wife or kids involved with diving? Yes, I have a partner, who is really interested in diving. I’m single and I have a dog! What other sports do you practice? What other passions and hobbies do you have. My other big passions are bicycles, running and animals. I am from Valencia, Spain. I joined Dressel Divers when I was 29 years old. I have been in the company for one year. I wanted to be an astronaut when I was growing up. Before I joined Dressel Divers, I was working in the Maldives as a Dive Instructor. My mother lived in Indonesia some time ago. I discovered Scuba Diving in those beautiful islands when I visited her, and then was when it became clear what I wanted to do. I did my Instructor course at the Four Seasons Landaa Giraavaru in the Maldives, with the Course Director Artin Zaaman. I began working as a Dive Instructor in The Playa del Carmen base, and I was offered the dive Boss position two months later. I am currently Master Scuba Diver Trainer and I have over 1500 dives. PADI is the most well known and respected dive federation in the world so, for me, it was a no brainer! Relax, breathe and focus on the beautiful underwater eco system that surrounds you. You are in good hands! I took one of my first Open Water students on his first dive, and we saw two leopard sharks, two mantas and a whale shark! You are going to live an experience unlike anything you’ve ever imagined! A peaceful and relaxing environment unlike anything up here. My favorite dive site here in Playa del Carmen is the Mama Viña Wreck. It is really overgrown with corral and full of different species of fish. And I would also recommend to dive the Cenotes. It is unique to this area of the world! Once in Raja Ampat, on the Papuan side of Indonesia. We dove under some fishing platforms where they throw the remainders of the fish to the ocean, and schools of whale sharks and dolphins feed on those scraps. It was amazing! I have always loved the diving in Asia, especially in the Philippines. My brothers have always been really involved in diving. I guess that’s where I get my passion from. I practiced golf and tennis when I was younger. Now I enjoy running and hiking through nature. Cozumel Mexico, 27 years old, 2 months. Astronaut. I worked as guide/ Divemaster. 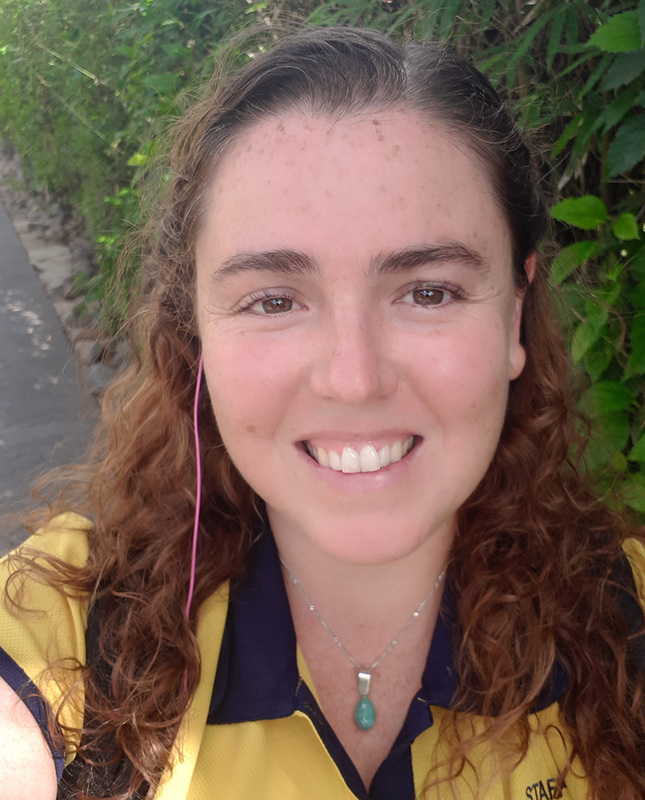 In general, I had a passion for the ocean, after being a Divemaster for some time I realized I wanted more in my career, so, I took the next step. Dressel Divers, and Paul Flower was my Course Director. 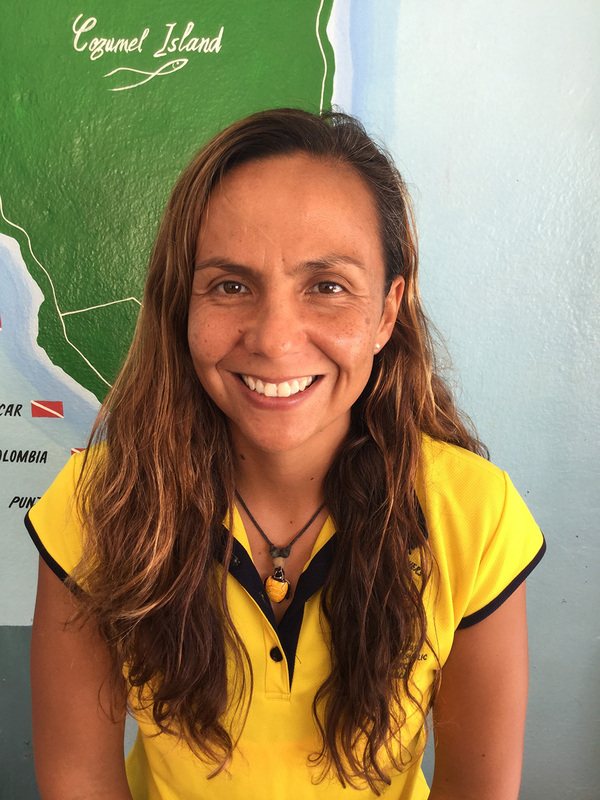 I started as a Dive Instructor and guide, and getting more involved in the operation was a way to progress. Specialty Instructor, 1500 + or more. PADI is the most recognized organization in the world, keep up the good work. The look on their face after their first open water experience. 70% of the world is covered with water and the only way to know it is by diving. Drift diving in Palancar Caves. Yes. No. Dogs and cats count? She is an Open Water Diver. Motocross and Enduro. I have a passion for motorcycles and racing. I am from Porto, in the North of Portugal. When I joined Dressel Divers I was 33 years old, and I’ve been in the company for 5 years now. I never really knew what I wanted to be when I grew up, I was always changing my mind. I ended up studying psychology at University, but until a few months before, I wanted to become a Physical Education teacher! That shows well my indecision when it came to knowing what to do with my life. I worked for 8 years as a child psychologist, working in early intervention with kids with developmental challenges. I am a very empathetic person, so, that burnt me out completely and I needed a break. One thing I always loved, probably the only constant in my life, was the water, the ocean. 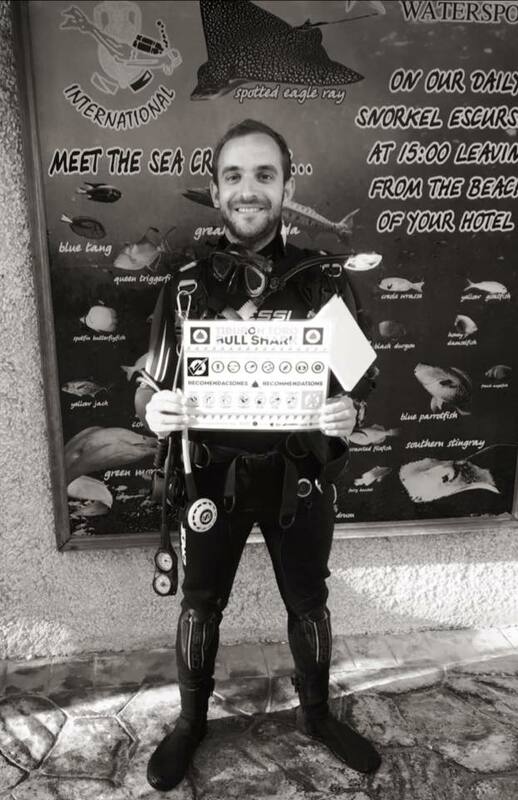 So, while I was volunteering in Thailand (after I quit my psychology work) I decided to do my Open Water Diver Course…and I was hooked for life! During my first Open Water Dive! While I was volunteering in Thailand, I managed to get a few weeks break and did my Open Water Course. On my first Open Water dive I knew I could never go back to work in my office as a child psychologist. The ocean always had my heart and soul, it was about time to give into it and make the ocean my life! I did my Instructor Course with Cris Maffione, in Dressel Divers Dominican Republic, and 2 years after did my IDC Staff instructor, also with him. He’s a great mentor! I started in Dressel roughly one year after doing my OW course. I was an Advanced Diver at the time, with 14 dives. 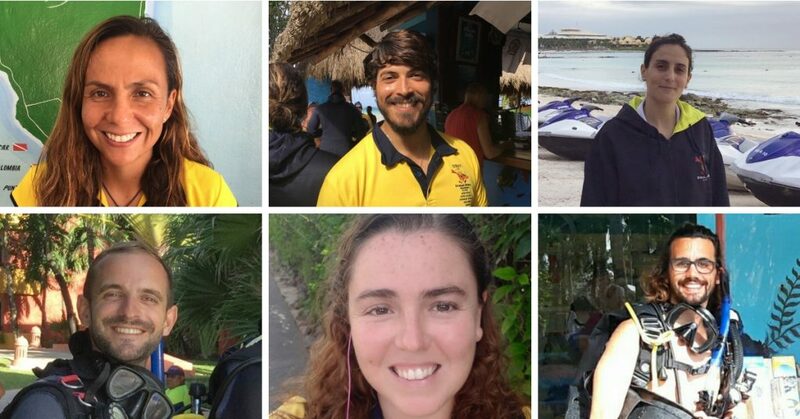 I did the Dressel Divers Internship, split between Mexico and Dominican Republic, all the way to the IDC. After doing the IDC, I worked as a PADI Dive Instructor and 2 years after I did the IDC STAFF course. A few months after I was promoted to Dive Boss in Bayahibe, and I’ve been doing that job since then. I do love it, I finally feel like I found what I want to do when I grow up! I am an IDC Staff Instructor and I have roughly 3500 dives. 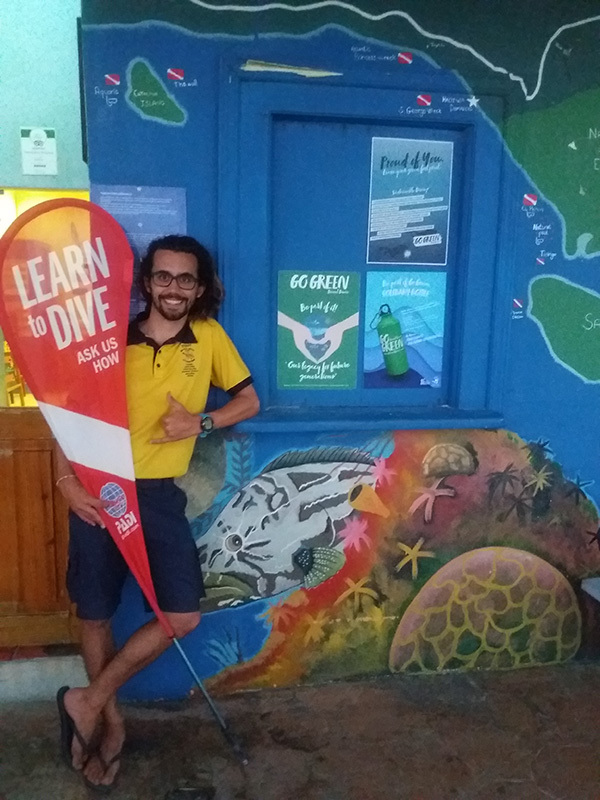 I chose it because my father was already a PADI diver and he told me it was the most professional, safe and reliable Dive federation in the world. He’s always right, my Dad! Don’t give up after your first failed attempt. It’s normal to be scared, since we are doing an activity that goes against our nature. Just give it time, so your brain can stop seeing it as a threat and keep trying. You will succeed! I think it was diving in Saona Island with a 10-year-old boy, on the first dive of his life. At the end of the dive we saw a manatee! This kid was very knowledgeable about marine life, so imagine his reaction! He was over the moon excited and when we came up to the surface, he hugged me and screamed to his grandmother: this is the best day of my life! It’s the best feeling in the world, since there’s no other thing quite so magical, relaxing and freeing as feeling weightless, surrounded by water and listening to nothing other than the sound of your breathing! Total freedom of movement and a whole other world of beautiful delicate creatures that move gracefully through the water! My favorite Dressel Divers dive sites are Santa Rosa Wall, in Cozumel and Saint George Wreck, in Bayahibe. They are both unbelievably beautiful and I just love the overwhelming feeling I get from not seeing the bottom in Santa Rosa and seeing the immense shipwreck coming out of the blue on the St. George! The most incredible dive I did was the first time I dove with my dad. It was a childhood dream that I fulfilled when I was 35 years old and to this day, that one and all the others I did with him after that, are the best dives I have ever done! Azores Islands in Portugal, Egypt, Maldives and Indonesia! I am married and I am at the moment pregnant with my first child, a baby girl that is due in the beginning of March. My husband is a captain for another dive company, but he doesn’t scuba dive, he just free dives. I do hope my daughter will share our love for the ocean! I love playing tennis (even though I haven’t played in a while), swimming, reading, watching movies and tv shows and sleeping! I’m 27 years old, and I’m from Portugal. I’ve been working in Dressel Divers since December 2016, so almost 2 years. I’ve always liked science and sports and, although I didn’t have anything I aspired to be, I knew that it would be something within these areas. Before I came to Dressel Divers I worked in a dive center in Portugal (Haliotis). Before that, I was working in a retail shop selling video games and consoles. When I finished my Divemaster Internship I knew there was no turning back. I did my DM and IDC internship in Peniche, Portugal with the Haliotis Dive Center. My Course Director was Pedro Oliveira. I started in Dressel Divers as Instructor, without any teaching experience. I came with my girlfriend, who also works with us. In Dressel Divers I had the chance to learn a lot about teaching methods and organization. When I got the chance, I finished my MSDT and enrolled in the IDC Staff course. I enrolled in the PADI Open Water Course in University through an Underwater Activity Nucleum, which at that moment had a partnership with a PADI Dive Center. It was not actually a choice but, since PADI is the most represented agency in my country, it was the one I got certified with. I continued with them because they provide a very logic and well-structured way of learning and teaching. In addition, their support offices are always easy to access and provide a lot of quick help. The only recommendations I can think of are, and although safety has always been a priority, in my opinion there should be a minimum number of dives to enroll in some continued education courses (specifically Advanced and Rescue). This way, the courses would teach something that the divers can already manage and understand. I also think it should be mandatory to have a minimum amount of work time in a Dive center in order to finish a Professional course like the Divemaster. Never stop diving, always keep your skills sharp. The best memory I have with a student was with a father and a son from Brazil. The activity itself went very well and the kid got hooked on diving. But what really stuck with me was afterwards, when his mother wrote a review where she explained how this experience changed the father and kids’ perception about the ocean. Up to today I still have this review saved on my computer. This is what reminds me why I chose this path, and how we can change people’s life with what we do. Everyone strives for calm, peace and quiet in their lives, come Scuba Diving and you will find it. Coming back to my previous answer. Peace and quiet!! If I have to choose only one, I think I’d choose wreck diving. It’s the perfect mix between nature and men. They have history and provide awesome artificial reefs. My favorite dive spots are Rondana, in Bávaro, and the St. George Wreck, in Bayahibe. Princess Alice Bank, in the Azores Islands. It’s a dive spot 45 nautical miles away from the island I was working on. In the middle of nowhere. There is a seamount that comes up to around 131 feet / 40 meters depth. Around that seamount we got to see all kind of stuff. From Manta Rays, to sharks, passing through huge schools of barracudas. At one point we had about 15 Manta Rays swimming around us. It was something I will never forget. Ana, she has endured me for 8 years now, so I’m a very lucky guy. We don’t have kids for now. She also works with us as PR, but she is a diver as well. We did our IDC, MSDT and IDC Staff courses together. I play football here, which is amazing. It’s something that always brings memories from home. I also like to play video games and watch e-sports (LoL, CS:GO, DOTA). The amount of thinking and strategy video games entail nowadays just amazes me. I went on vacation to Thailand and I dove over there. After that, I realized I wanted to dive every day. I was an intern. From zero to hero. (I started here as a PADI DSD student). I did all my courses here. Because it is the most common and the best one. Enjoy what you see under the water! The faces of all of them when we they come back to the surface. That is the real happiness. It is the best thing I ever did and it worth to try it. Once I found 8 eagle rays diving and dancing. None at the moment. Basketball and cooking.